The following is a guest post by Bridget Anna Lowe, who contributes "Burning Free: Sylvia Plath's Summer 1962 Bonfires and the Strange Case of the Surviving Christmas Card" to Plath Profiles 5, due out sometime in the near future. It was a hellish summer for Sylvia Plath. In the early summer of 1962 her husband of six years, the poet Ted Hughes, began an adulterous love affair with another man's wife; in July, a furious and unforgiving Plath discovered the affair. Shortly after her discovery of Hughes's infidelity, and with a rage fueled by her well-honed direct access to heightened emotion, Plath created a succession of three retaliatory bonfires in the backyard of the thatch-roofed home she and Hughes shared with their two young children in Devon, England. In her violent trio of bonfires—one fire each to burn her own, her mother's, and Hughes's important and irreplaceable papers—a manic and vehement Plath incinerated sheaves upon sheaves—ultimately more than a thousand pages—of valuable paperwork and letters. These three bonfires, which were conceived by Plath in her rage and constructed with her passionate desire for revenge, burned approximately eight months before her suicide in London on February 11, 1963, aged 30. Until now, Plath biographers and scholars have been under the impression that Plath had burnt all of the hundreds upon hundreds (in fact, upwards of a thousand) of letters her mother, Aurelia Plath, had sent to her over the course of thirteen years (Aurelia Plath wrote Plath on average one letter every week); as I would discover during my visit to Indiana University's Lilly Library in the autumn of 2011, however, Plath had quite strangely spared one particular piece of correspondence from the bonfires: a Plath family Christmas card sent to her by her mother in December 1955. The bizarre case of the surviving Christmas card becomes even more fascinating: I had found, tucked inconspicuously behind the Christmas card, an unlined, faded yellow notecard on which a very short comment written in Aurelia Plath's hand remarkably discloses the heretofore unpublished (and made public now for the first time) information that the 1955 Christmas card was found in Plath's handbag after her death. Given this revelation from Mrs. Plath, and combining it with the information we know about Plath’s last night alive (in the late night of the day preceding her early-morning suicide, when she went downstairs from her flat to her neighbor’s to buy a few stamps from him, Plath ostensibly handled her handbag in order to grab some cash) we can surmise that Plath had the Christmas card in her thoughts and hands days, if not hours, before her death. Clearly, Plath had an exceptional attachment to this Christmas card, for not only had she not burnt it in her wild bonfires, but she had also kept it safe and close to her in her handbag (on the last day of her life, no less). In my paper “Burning Free: Sylvia Plath's Summer 1962 Bonfires and the Strange Case of the Surviving Christmas Card” (to be published this summer in Plath Profiles 5), I address two questions that had arisen for me from the puzzling existence of the Plath family’s Christmas card: first, what motivations were present in the summer of 1962 to incite Plath to create the holocaust of a bonfire in which she burnt so many hundreds of the letters her mother had written to her? And second, if Plath had actually preserved this Christmas card by design and not accident, what was it about this card that compelled her to save it and set it apart from the hundreds of other letters from her mother that she didn’t save? Note: To view the images of the 1955 Plath family Christmas card, as well as Aurelia Plath’s accompanying notecard, please read the full-length version of this paper in this summer’s Plath Profiles 5. In "These Ghostly Archives 4: Looking for New England," we discuss the Sylvia Plath Collection, but as well we talk about Sylvia Plath's correspondence and relationship with The New Yorker magazine, held at the New York Public Library, additional Plath manuscripts and other archival materials in the Henry W. and Albert A. Berg Collection of English and American Literature, also at the NYPL, and a letter of Plath's held at the University of North Carolina at Chapel Hill. One of the papers in the issue is authored by me and is titled "Textual Variations in The Bell Jar Publications." I wrote this paper because in reading Sylvia Plath's novel The Bell Jar at least twice a year for the last 15 or so years, and in reading both British and American editions, the text became familiar but I could not reconcile why it read differently, depending on the edition read. Primarily I read a later printing of the first American edition from 1971 against a 1980s Faber paperback. Eventually I obtained a photocopy of the first Heinemann edition and read that, too. 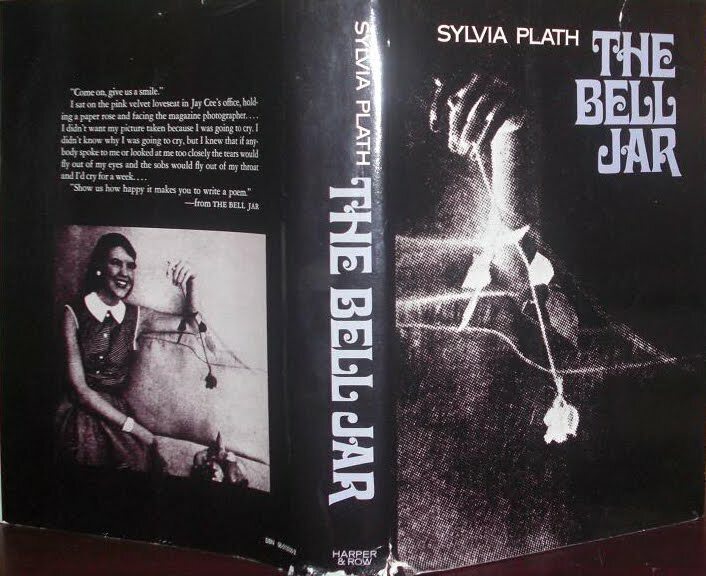 But, the two editions of the book that set me on the three-year task were the uncorrected proof of The Bell Jar printed by Heinemann in 1962 and the 1996, 25th Anniversary edition published in America. These two especially are very different from one another. Mind you it is not as though the texts drastically differ: the primary differences are punctuation, some spelling as can be expected, etc. But in reading the proof of The Bell Jar, I also learned a bit about Plath's editorial eye, and I began to see that the only version/edition of this book that readers should read is the first Heinemann edition from 1963. (Faber apparently used the same typesetting when they published this book in 1966, and they used this same typesetting for nearly 30 years, so I think technically any Faber edition before 1995 should be the exact same text as the 1963 edition.) In working on this paper, too, I had to rely on the typescripts of the novel which are held by the Moritmer Rare Book Room, Smith College. From the paper, "Because she died so young, Sylvia Plath's editors have had to speak for her and to make publication and other editorial decisions on her behalf. This sometimes has been controversial, sometimes questionable. 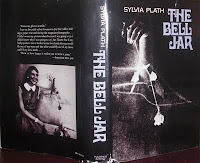 This paper will present and examine the final choices Plath made to the text of The Bell Jar, based on comparisons between the uncorrected proof of the novel and its first edition... In addition, it will also compare the first Heinemann edition – my "control" edition, the only version of the novel to be approved for publication by Plath – to the novel's later publications: the first Harper & Row edition (1971) and the 25th Anniversary HarperCollins edition (1996)" (106). The structure of the paper is a longish introduction with more text in footnotes probably, than in the main part of the paper, and then several tables where the differences in text are listed. I also include an appendix of those words appear in the editions of the books that have different spellings - in the order of appearance in the book - in either the UK or the US, that were not included as part of the textual variations tables. What is 11 inches tall, 8.5 inches wide, 522 pages long and has 21 essays, 20 poems, translations, artwork, some reviews (for a total of 48 contributions), and will be coming soon to a web browser near you?? But, while it might indeed be early, the 50th anniversary of the publication of The Colossus in America has me thinking again about the 50th anniversary of two major Sylvia Plath events that occurred in 1963. The first was the publication of The Bell Jar in England on January 14, 1963; and the second - you might have guessed - was her death on February 11. Keep in mind since it is so far out, the dates below might change. On 3 January 2013, Faber will publish a new edition of The Bell Jar. I have been dreaming that Faber can or will re-use the original cover. And as you might imagine, Plath will be the subject of dozens of articles, but also a few monographs. Below is a list of what's expected so far. Mad Girl's Love Song: Sylvia Plath and Life Before Ted by Andrew Wilson (Simon & Schuster Ltd) 31 January UK ; US. The Mademoiselle Summer: Sylvia Plath in New York, Summer 1953 by Elizabeth Winder (Chatto & Windus) 7 February, UK. (Scheduled to be published in the US on 29 January 2013 as Pain, Parties, Work: Sylvia Plath in New York, Summer 1953). We should note that in June 1953, Plath was still 20 years old. American Isis: The Life and Art of Sylvia Plath by Carl Rollyson (St. Martin's Press) is scheduled to be published on 22 January 2013. Carl's book will feature some previously unpublished photographs. One, which will be on the cover, is of Sylvia Plath, taken in April 1954 (just three months after her return to Smith from her suicide attempt and recovery) while Plath was an undergraduate student at Smith College. The photographer was a fellow Lawrence House resident, Judith Snow Denison (Smith 1957, Physics). You can see a small version of the image on Carl's website. The tree in which Plath sits in is in front of Lawrence House. Interestingly, Denison knew of Plath before matriculating at Smith College, having read the young poets work in Seventeen magazine. (Plath, as you know, published a total of nine stories and poems in Seventeen from August 1950 ("And Summer Will Not Come Again") through April 1953 ("Carnival Nocture"). Her first poem to be printed in the magazine, "Ode to a Bitten Plum," appeared in both the November 1950 and January 1974 issues.) Denison and fellow Smithie Marilyn Martin are among others who provide insight and context into Smith College, Sylvia Plath, and what it was like to be a young woman in the 1950s in Carl's forthcoming biography of Plath. Carl's book will also publish for the first time a photograph of Frieda and Nicholas Hughes from the mid-1960s after Plath's death. In addition to the images, readers will learn from Carl's research new information about Plath's life. 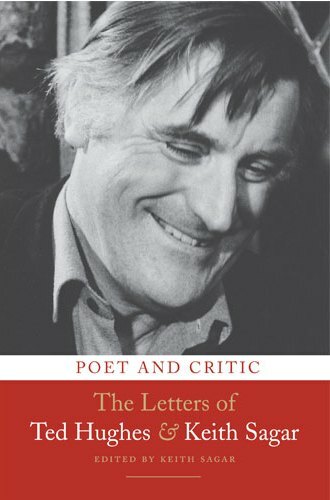 The British Library's recent publication, Poet and Critic: The Letters of Ted Hughes and Keith Sagar (ISBN: 9780712358620, 320 pages, purchase) gives a more complete run of the letters from Hughes to Sagar than were published in the Letters of Ted Hughes (2007). And we should be thankful for that, as the letters provide a rare look a unique friendship. The letters, held in the British Library and previously only available to researchers traveling to and through London, cover nearly 30 years (1969-1998) and explore a fascinating range of topics. While only a handful of Sagar's letters to Hughes are included, when present they provide that even more unique aspect of letter writing: a conversation. Because Ted Hughes and Sylvia Plath both have supporters and detractors in equal measure; and because these two camps have historically sparred, I have decided to write two reviews of Poet and Critic: The Letters of Ted Hughes and Keith Sagar. Consider it a kind of "choose your own adventure" on this Bloomsday. For those who primarily like, enjoy, and are fond of Ted Hughes: click here. For those who primarily like, enjoy, and are fond of Sylvia Plath: click here. Throughout Poet and Critic book, we see a poet struggling to form a corpus. From editing drafts of poems, stories and other prose, to the physical arrangement many of his poetry collections, Hughes presents himself as a writer not fully confident in his decision making abilities. One has to wonder how these decisions were made in his early years, say from 1957-1960, as he compiled his first two collections, The Hawk in the Rain (1957) and Lupercal (1960). This indecision of arrangement is a natural conundrum for a writer and not meant to be a criticism of Hughes himself; in fact, it is somewhat refreshing to know that, from year to year and from book to book, Hughes agonized over and questioned everything from the content and order of the books he was making to the component words of the poems themselves. Sentences like: aIn fact now I look at them I realize they were the beginning of an attempt to open myself in a different direction...and I'm aghast at the time and density of folly that has passed..." (61); "...and vital time has shot past in total neglect of the work I ought really have been doing" (77); and "when it suddenly seems as if only now do I know what I ought to be doing, & how! I ought to be doing it" (165) are typical of this aspect of Hughes' creative process. In these, we are left to wonder how different his output would have been had Hughes been able to do things differently. Or, perhaps these are the excuses one makes to justify their insecurities. The biggest boon to Hughes' writing though appears to have come to him circa 1997-1998 when he decided to publish and published Birthday Letters. As if all these thoughts and comments about his failure to be essentially true to his poetic self was finally possible after confronting certain scenes from his past. He was, "Not sure what to make of it" when the media storm hit (261). It has been said that in publishing these poems Hughes gained (or regained) a poetic intensity as can be seen in his later translations such as Tales from Ovid, Euripides' Alcestis, Aeschylus' The Orestia, and Racine's Phedre. And it is true that these works do represent absolute mastery of craft and inspiration. Sagar routinely offered advice to the poet (some of it quite candid in nature), often lamenting Hughes' own editorial decisions to remove lines from poems, and poems from books. As a collector, too, Sagar was prescient and his interest in Hughes' manuscripts in all likelihood saved documents that might otherwise have been misplaced or otherwise been made unavailable. Sagar's detailed notes, too, are largely helpful in contextualizing and explaining otherwise cryptic or content referred to in correspondence not included. The font of the footnotes is tiny, and quite difficult to read; and the Appendices are useful and interesting and provide valuable supporting information to topics discussed in the text. Sagar was dedicated, lifelong, to Hughes. Sagar's admiration and loyalty to the poet shines through; likewise for Hughes, and I have learned a completely new side to him. This dedication to the art and craft of literature and poetry is evident throughout the book, and is certainly one of its many achievements. This is a valuable book for readers of 20th century poetry and educators; for rare book and manuscript collectors; and for enthusiasts of the drama called life, among others. One of the leading subjects of interest to readers of Poet and Critic will be the instances where Hughes' first wife Sylvia Plath is mentioned. No doubt this was what news reporters focused on when the collection was first name available in 2001; and also when a few of the letters appeared in the Letters of Ted Hughes; and when news of the publication was made earlier this year. The pull quotes used in these news "stories" are already hackneyed, and do little to contribute to our understanding perhaps of how Hughes dealt with Plath's after-life as a topic of interest, and how Sagar approached it as well. One of the more challenging sentences for me in this book is, "Finally, poems belong to readers" (43). This is of course loaded because it is not something Hughes or the Plath Estate have routinely allowed to happen. His quasi-threat against Jacqueline Rose's interpretation of "The Rabbit Catcher" comes to mind. To those for whom this might be new, Rose's reading in The Haunting of Sylvia Plath suggests that in "The Rabbit Catcher" Plath might have had homosexual fantasies. And, Hughes responded that the reading, in some countries, could be "grounds for homicide." And, so far as there are any blatantly autobiographical imagery or themes in Plath's work that one might interpret as being about Ted Hughes himself, of course, is a no-no. Which makes his comment that "poems belong to readers" a bit of a lie. There are far too many references to Plath in this book to give in this review, but what is interesting to note is Hughes' tone. That he even discussed Plath at all with a critic I find impressively open; and that this critic - who clearly gained Hughes trust over the years - should be among the few to learn about Birthday Letters months in advance was revealing. In fact, as the book proceeds, and as the end draws near - an end that we all know is coming - I would be lying if I said I did not get excited about the books publication. An eagerness overtook my eyes to read faster. The first instance where Hughes discusses Plath with Sagar comes in a long 16 May 1974 letter that was in fact written by Olwyn Hughes. It makes for interesting reading. Olwyn was not fond of Plath, so a comment like "FIRE EATER - bad poem etc. This was Sylvia's favourite poem in LUPERCAL" is not shocking (33). The most objectionable comment, I think, comes in a letter to Sagar dated 23 May 1981: "By Dec. '62 she was quite a changed person -- greatly matured...and had almost completely repaired her relationship to me" (108). It is that last bit, that she "had almost completely repaired her relationship to me" that ruffles my feathers. Unless something occurred of which the general public is not privy too, it was or should have been the other way around, right? Why would Plath have had to have repaired her relationship to Hughes when - as far as we know - it was Hughes who turned his back on the commitment? In the book though we see Hughes editing and publishing not just his own work, but also that of Plath's. In 1981 the Collected Poems was published, and at the same time he "resigning from the curatorship of Sylvia's mausoleum, after eighteen years of loyal service" and was at work "Trying to cut the text across the Atlantic" of Plath's abridged Journals, a book that he saw as providing "what has been lacking: a real image of her, the globe of all angles" (114, 116). What is interesting is that we learn more about the genesis of Birthday Letters, such as the working title as of 1995 was The Sorrows of the Deer. Interesting, too, to see Hughes at work preparing his archive, something he called "a big shock" for Emory at that time and that he "Discovered a few S.P. mss" (251, 248). But again, it is the assembling of Birthday Letters that overtakes the last two years, 1997 and 1998. And the commentary on this is fascinating. In these late letters, hearing Hughes' authorial voice on some of these poems I feel will assist future readings of them. While the commentary is selective, it might also be possible that these will aid in reading the other poems too. As a person who has interested himself in Plath scholarship, this book if a valuable contribution to a growing understanding of the way things developed and worked before my time. I myself am grateful for the access to this correspondence and know that in years to come I continue to have a better understanding of Ted Hughes – and Sylvia Plath – because of it. Who was Sylvia Plath was the $1200 question on Jeopardy today. 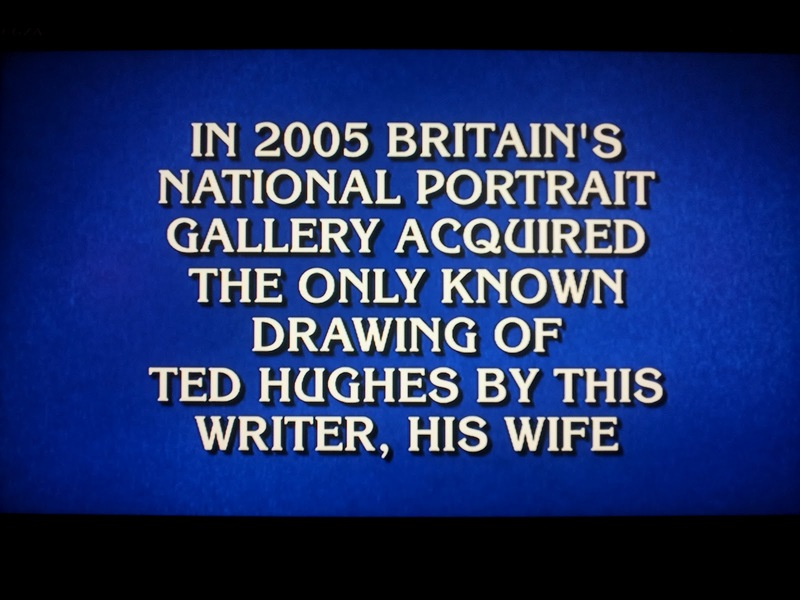 Of course, that 2005 drawing is no longer the only known drawing of Ted Hughes by Sylvia Plath. There are at least three known drawings of Ted Hughes, drawn by Plath, as I wrote about last November in my catalogue review of Sylvia Plath: Her Drawings. 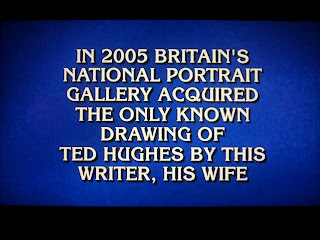 And speaking of three's, especially since Plath loved things in three's, this is the third time, at least, in three years that Plath has been on Jeopardy! The sketch in question (or answer) can be seen here. Did you know that in The Bell Jar, Esther Greenwood & her fellow guest editors do not work at/for Ladies’ Day? The name of the magazine where they did work was never actually named. The most we are told is that, "We had all won a fashion magazine contest...and as prizes they gave us jobs in New York for a month" (1971, 3). And, in the text of the novel, whenever Ladies’ Day is named, it is actually quite clear that the guest editors are visitors there, or that they are visiting a separate location. The first mention of Ladies' Day comes in Chapter Three. From the way Greenwood describes it, Ladies' Day is "the big women's magazine that features lush double-page spreads of Technicolor meals..." (27-28). Then, on page 30, Greenwood says, "None of our magazine editors or the Ladies' Day staff members..." which further illustrates the point. Lastly, when recovering from ptomaine poisoning, "Those dodos on Ladies Day" sent the interns get-well cards and copies of The Thirty Best Short Stories of the Year (52). This might be generally known, but in my itinerant interneting - and in some published sources - I have seen it stated that Esther works for Ladies' Day, and it just is not so. Plath herself confirmed that Ladies’ Day was not where the heroine of her story worked. In a letter concerning libel issues that Plath sent to her editor (James Michie) at Heinemann on 14 November 1961--which is now held as part of the Sylvia Plath Collection at Smith College--Plath states this quite clearly. Unfortunately it is not possible to quote from the letter, but if you are interested in reading it, the good people in the Mortimer Rare Book Room can make a photocopy for you. 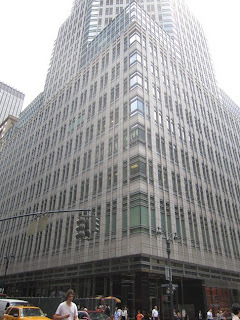 And so clearly, Plath fooled around with the actual elements of this incident in her novel, transforming (masking) what took place at BBDO by setting the scene at the offices of a magazine. Did you know that the June 1953 ptomaine poisoning was not Plath's first experience with the ailment? For her novel, there is no evidence Plath was drawing on an additional, previous experience in the ptomaine scene; however, on July 3, 1946, while she was at summer camp, a quarter of the camp, including five people in Plath's Cove unit, became ill after eating bad fish. The counselors had to spent their time tending to all the children who were fed soup to settle their stomachs. Read more about Plath's time at Camp Helen Storrow in 1945-1946 in my paper "A Perfectly Beautiful Time: Sylvia Plath at Camp Helen Storrow." All page number references to The Bell Jar in this post come from the 1971, Harper & Row edition. The following is a guest blog post by Gail Crowther on visiting Haworth and Top Withens, Yorks, England. Thank you Gail! Haworth and Top Withens feature in a number of Plath's poems, letters and journal entries along with pieces of published and unpublished prose. Most of her writing stresses the lonely and blustering nature of the place – blackened gravestones paving the ground in front of the Brontë Parsonage, withered trees, open moors of heather and sheep, a tumble-down building clinging to the moor side at Top Withens. In an account of a Withens walk published in The Christian Science Monitor on 6 June 1959 (12), Plath describes there being "as many ways to get to Withens as there are compass points" (12). Yet she had just tried two approaches – one from the town of Haworth and another across the moors from Heptonstall. Last weekend, I walked to Withens from Haworth. No dour skies or lonely howling winds accompanied us as we trecked from town to moor, but rather a blistering sun and a warm wind that took the edge off the May heat-wave. I have been to Withens twice before, both in much sterner weather more fitting for the supposed inspiration of Wuthering Heights. It is always an odd experience as I feel myself following the traces of two women writers years apart – Plath following Emily Brontë and me following Plath following Emily Brontë. Much is unchanged – the beginning of the moor spreads away from Haworth behind Penistone Hill gradually becoming browner and increasingly bare. The "grandmotherly" sheep still graze amongst grass and heather. Staring into their eyes is still like "being mailed into space." Not so far along the stony path from town to moor is the Brontë waterfall and bridge. Plath describes this bridge in "A Walk to Withens" as "a wooden footbridge" (12). Today it has undergone some changes. At some stage the wooden bridge became a stone bridge which was washed away in a flash flood in 1989. Rebuilt in 1990 it is now a humpbacked, slabby path over the river resting on the remains of the older stone bridge beneath. It is at this point according to Plath that the "sheep are separated from the goats" (12); meaning the walk becomes tougher, more lonely, a little more challenging. The trees become sparser and up a slight slope I see a sign which I suspect would not have been present when Plath walked these moors: directions to Top Withens in both English and Japanese. The house itself at Top Withens is a ruin, yet it has clearly been cleaned and tidied, the stone no longer black or really showing much signs of weathering. The foundation and outline of each room is still visible, window arches look out across purple slopes and the remains of fireplaces and chimneys are now grown over with tufts of brown, scratchy moor grass. Plath writes: "Two sizeable trees rise like natural pillars before the house, oddly tall in the lee of the windswept hill where nothing else grows higher than a gorse bush." In the poem "Wuthering Heights" which Hughes includes in Birthday Letters, he describes Plath sitting in the crook of one of these trees sketching the ruin at Top Withens. Now somewhat taller in the fifty years that have passed, I wonder if this is the crook in which Plath sat and drew? As Plath surveys the scene at Top Withens, she writes that suddenly lines from Dylan Thomas spring to mind: "the bracken kitchens rust" (from "In the White Giant's Thigh"). Indeed, she states, rust coloured bracken grows everywhere "where housewives of a century ago tended their kettles and roasts over fires bright as today's grouse and rabbit-peopled hills" (12). As I stand surveying the scene, suddenly lines from Plath spring to my mind: "There is no life higher than the grasstops" – and indeed there is not as the moors wuther away and the heat ripples amongst the gorse and the grass. Again, thank you Gail. The drawing of "Wuthering Heights" by Plath was recently sold in the Mayor Gallery's exhibit "Sylvia Plath: Her Drawings," and can be seen both below an in the "Biographical Note" in the back of American editions of Plath's novel The Bell Jar. Camden New Journal reports that Sylvia Plath's GP, Dr. John Horder, has died. A full obituary will appear on their website next week. A small battle was waged twenty years ago in the spring of 1992 over the selling of the a copy of a first edition Knopf The Colossus, signed and inscribed by Sylvia Plath to Ted Hughes. On June 3, 1992, a letter was published in The Times called "War-Plath" (p. 14). The article quotes expresses the concern of the "Sylvia Plath Society" that this one sale might be "the first of a tranche of Plath's books and papers Hughes might sell." The article quotes Elizabeth Sigmund as saying, ''I think it is amazing that he is selling this book, which should go to the family. If he does not want it he should give it to the children, Frieda and Nicholas, or to one of Britain's libraries.'' It also says Sigmund is the president of the Society! It was then stated that, "[t]he next volume to reach the market would be Plath's annotated version of T.S. Eliot's Four Quartets*." Hughes and his wife Carol responded, "This volume of Colossus was owned by one of Sylvia Plath's and Ted Hughes's children." Bookseller Rick Gekoski's reply, "Collector's Items," ran six days later (June 9, 1992, p. 13). I disagree with his statement that this copy "has no substantial research value, and libraries are characteristically wise enough to avoid buying such collector's items," because I think it does. But it is possible we are just thinking differently about it because of our respective interests. I am certain the book could provide some kind of research value, and as a rare book and manuscript dealer, it is likely that less interesting or relevant material has passed through his shop that less research value. Gekoski ends his response saying, "Sylvia Plath has been dead for 29 years; isn't is time that the carping misapprehension regarding the slightest of her affairs, and of those who knew her, was laid to rest?" This is awfully naive, and it is arguable that even the Plath Estate itself certainly would not have wanted Plath's affairs to rest. The controversy sells books. It keeps her name in the public and attaches to the words "Sylvia Plath" an allure of mystery, highly charged emotions, contention, etc. Gekoski writes at length about about this purchase and sale in his chapter "The Colossus" which was printed in his 2004 book Nabokov's Butterfly: And Other Stories of Great Authors and Rare Books (New York: Carroll & Graf), pages 109-120. I wrote a little bit about it in 2007. In that review, some of the details that were relayed I have since found out were erroneous. I should probably update the post, but that seems to me like cheating. Anyway, looking at Gekoski's comments above, consider how he tells the story of The Colossus in Nabokov's Butterfly: "If you don't immediately feel how exciting this book is – if you haven't, in some form or another, just whispered 'that is so fabulous!' to yourself – I'm afraid you don't have the makings of a book collector. I'm not even sure if I would like you very much." Like I said in my blog post, I agree wholeheartedly: that is so fabulous. And, I think there is research value in the book. Anyway, basically the run down is that Ted Hughes gave the book to his son Nicholas Hughes, and Nicholas Hughes in turn sold it to Gekoski. Gekoski, after a period of time where the book simply sat on a shelf, sold it "to a canny and discriminating poetry collector in Philadelphia" (119). The book eventually sold again, for a higher price as you might imagine, to a different collector. Who that collector was the ended up with it, no one would say. Well, we finally know in whose collection this book can be found. Published in 2011, American Prayer gives us "A look into Richard Prince's private library and his influences, published on the occasion of an exhibition of the artist's work at the Bibliotheque nationale de France, Paris." Exhibition installation photographs can be seen here. And, included in the book on page 14 is a gorgeous, lovely image of the inscription. I presume this means that the book was included in the exhibit. Wish I would have known about it, as it would be truly fabulous to see. Prince's book collection is evidently legen - wait for it - dary. In browsing the internet, I stumbled on this interview on Artinfo, in which Prince says he [had at that time in 2008] recently purchase typescript carbon's of Plath's Ariel. 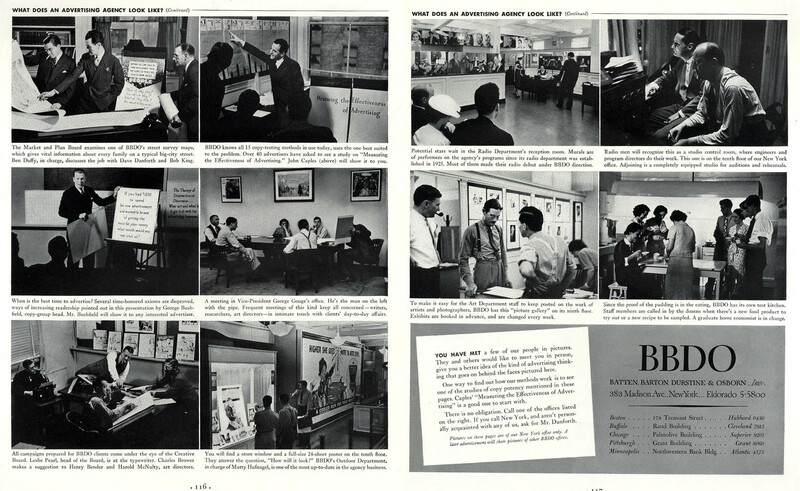 This is likely the same group of typescripts I blogged about here. This would be truly fabulous to see, as well. *Regarding Plath's copy of T.S. Eliot's Four Quartets. 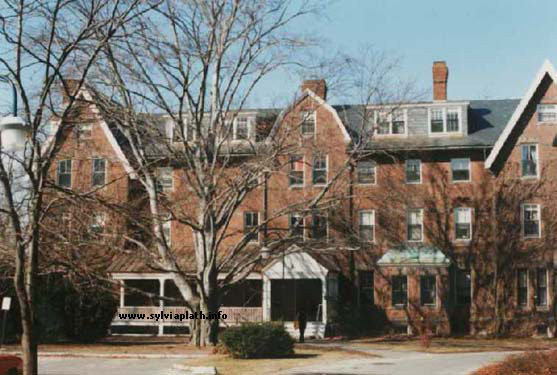 It did eventually sell, and you can learn a little bit about it - and a lot of other great stuff - in "These Ghostly Archives 4: Looking for New England" by Gail Crowther and myself in Plath Profiles 5, out this summer. And if you have not read Gekoski's Nabokov's Butterfly (in the UK as Tolkien's Gown), please do so. Two poems by Plath - "Hardcastle Crags" and "Wuthering Heights" (the latter read by Ted Hughes) are part of the current British Library exhibition "Writing Britain: Wastelands to Wonderlands." The exhibit list is posted online here; and you can read a little bit about the exhibit here, too. Archival materials from Hughes's River and the Elmet books are included as well, and the exhibit runs until 25 September 2012. A thoroughly modern sounding exhibit that features a plethora of different information formats including "sound recordings, videos, letters, photographs, maps, song lyrics and drawings - as well as manuscripts and printed editions." Plath Profiles 5 is in the final stages of production. Who's ready for it?